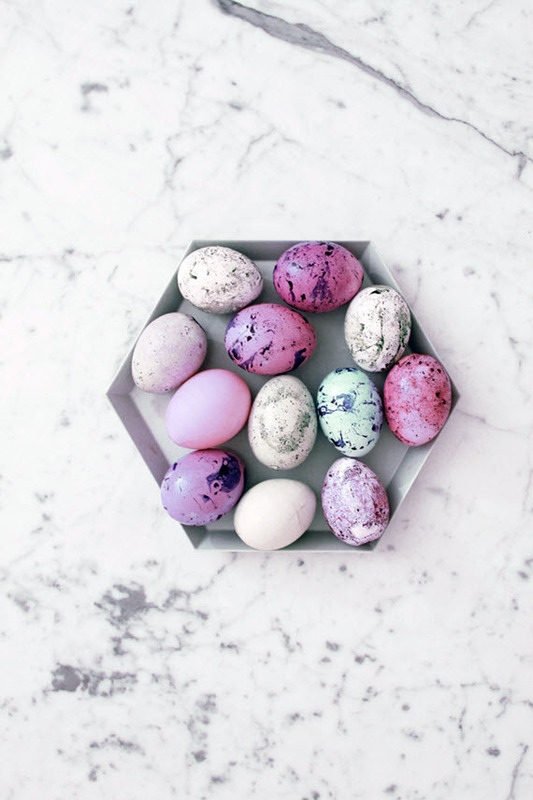 With Easter just a few short weeks away, I’ve been gathering ideas for celebrating the special day. 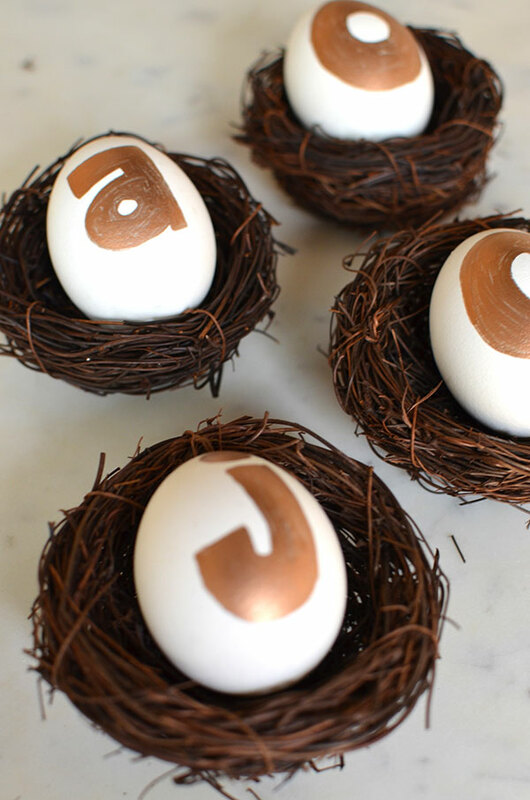 I’ve been amazed at all the creativity and especially the beautiful Easter egg designs out there. 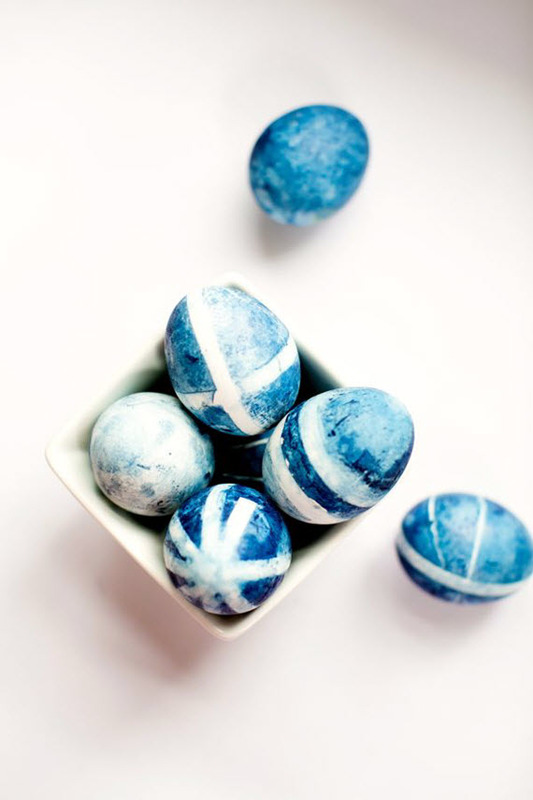 From indigo dyed to hand drawn, I’ve rounded up a variety of beautifully designed eggs that you may just want to try yourself. 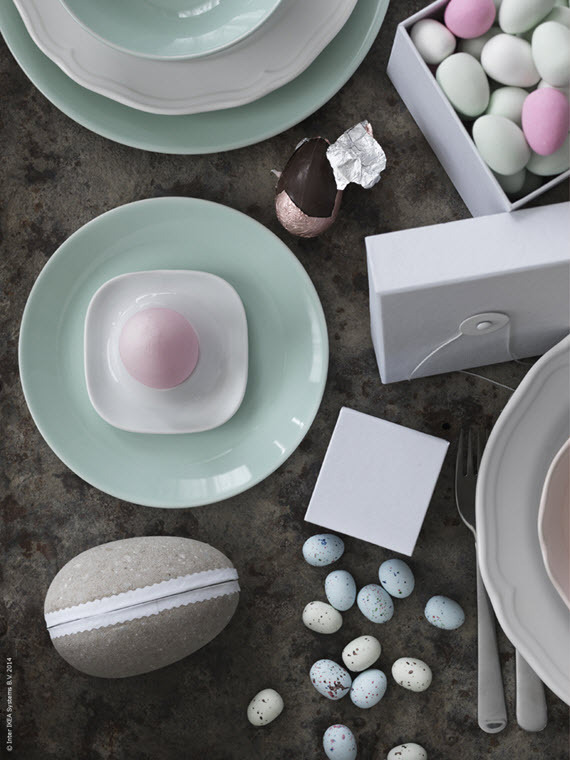 It’s only a few days away, so wanted to pass along some inspiring Easter ideas courtesy of Ikea. 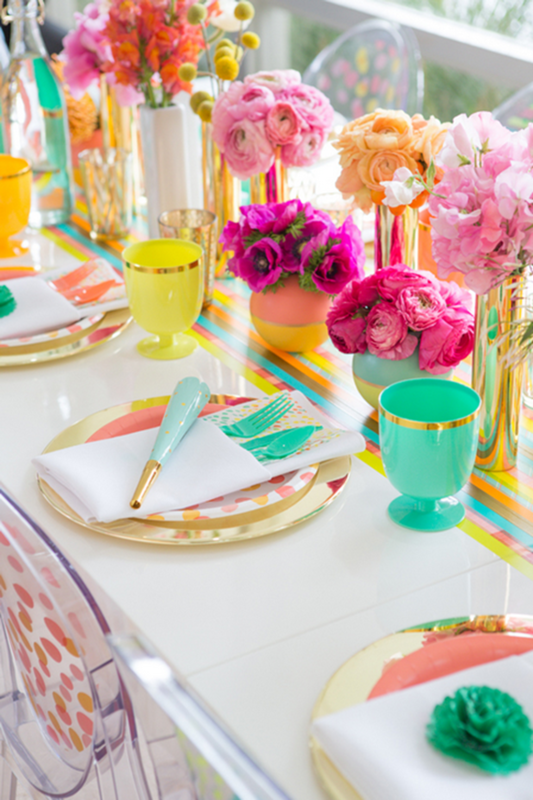 A soft pastel color palette is always a great direction for an Easter tablescape. This one created by Ikea features ARV dinnerware in pink and white has a simple and rustic look, but it also expresses a soft touch with the wave-shaped edge. 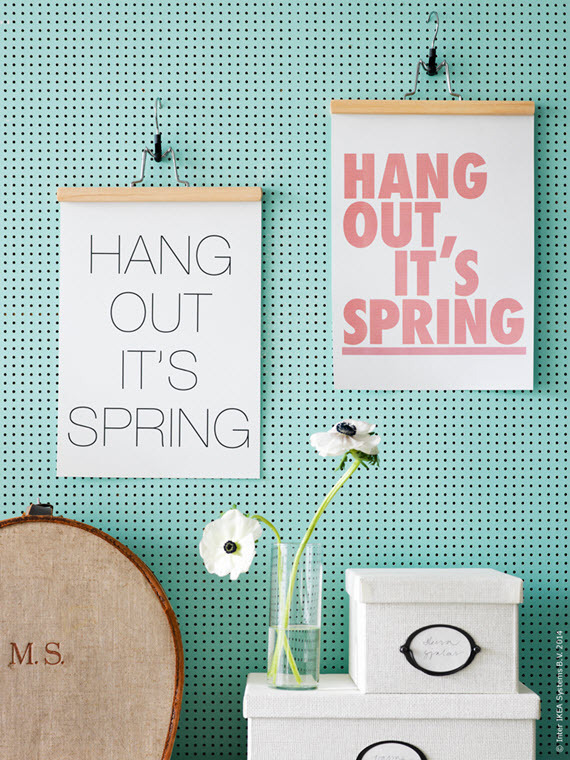 In addition to the setting the table, I also love the idea of hanging seasonal art prints and graphic posters like this message of springtime! A different and nice way to display prints is to use a pant hanger like seen below. As you transition your wardrobe from winter to spring, it a great time to give your closet a little makeover. 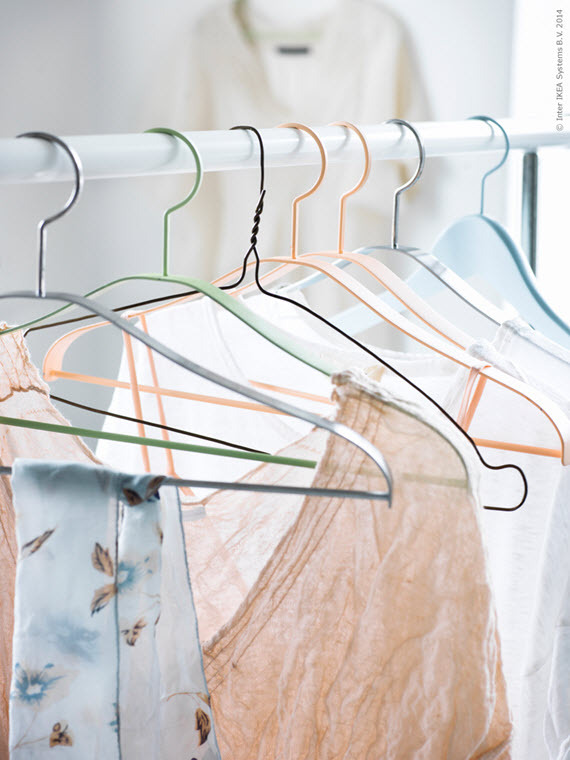 One way is to unify the look of your hangers. Love these painted in springtime pastels too! With the Easter holiday just a few weeks away (did it sneak up on you too? 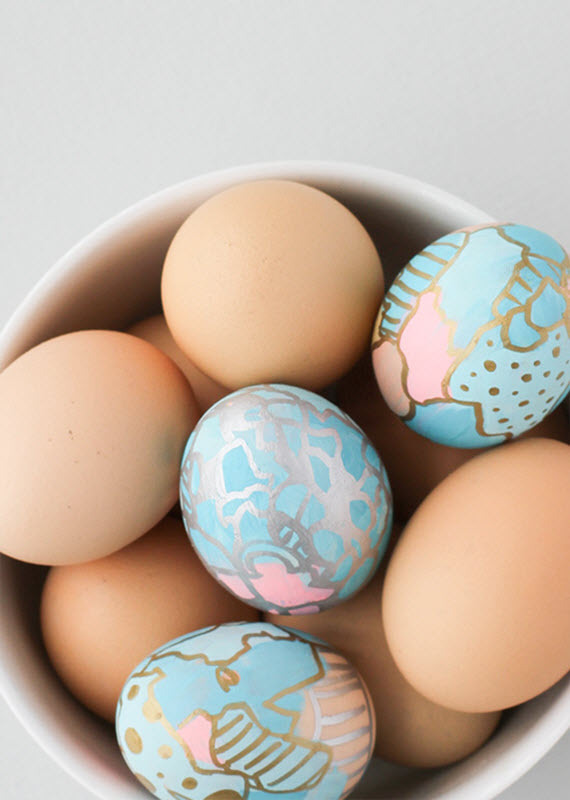 ), I thought it was time to share some of my favorite DIY Easter Ideas spotted on Pinterest. 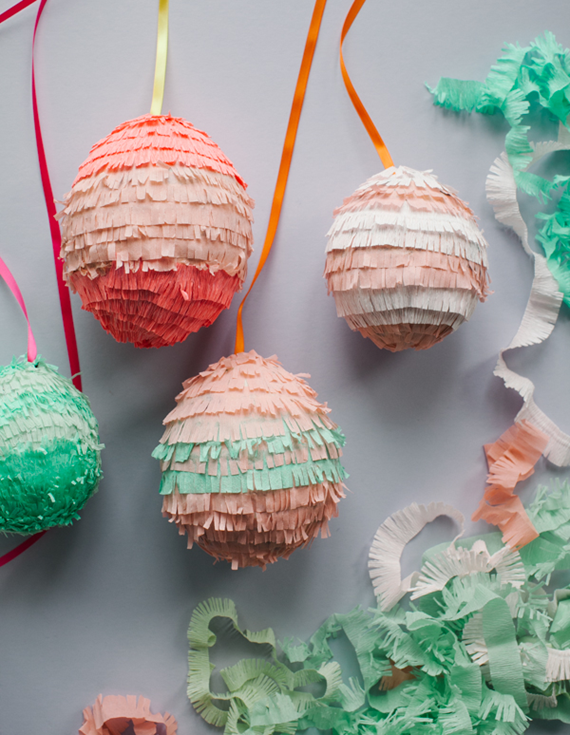 How cute are these DIY mini egg pinatas from Oh Happy Day?! Filled with candy, confetti or small trinkets, they would be great party decor as well as the perfect party favor! 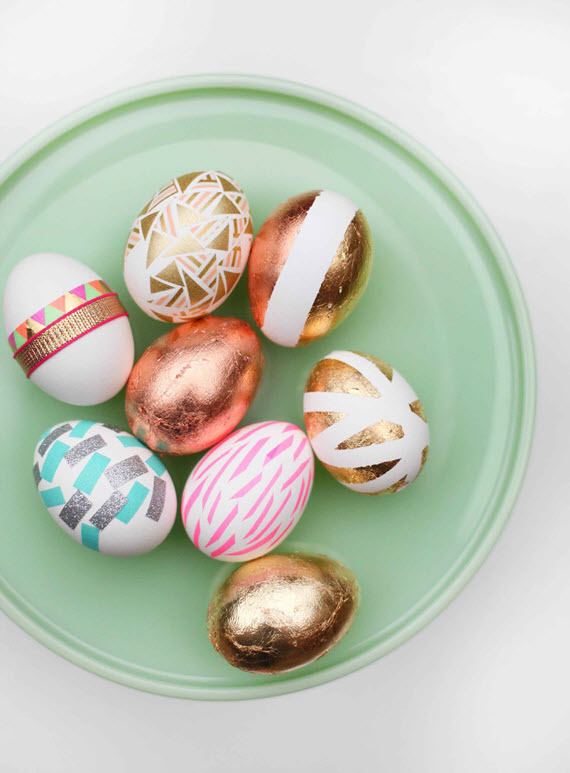 Using metal leaf and washi tape, miss renaissance created some of glitziest Easter eggs around. I’ve gotta try this. 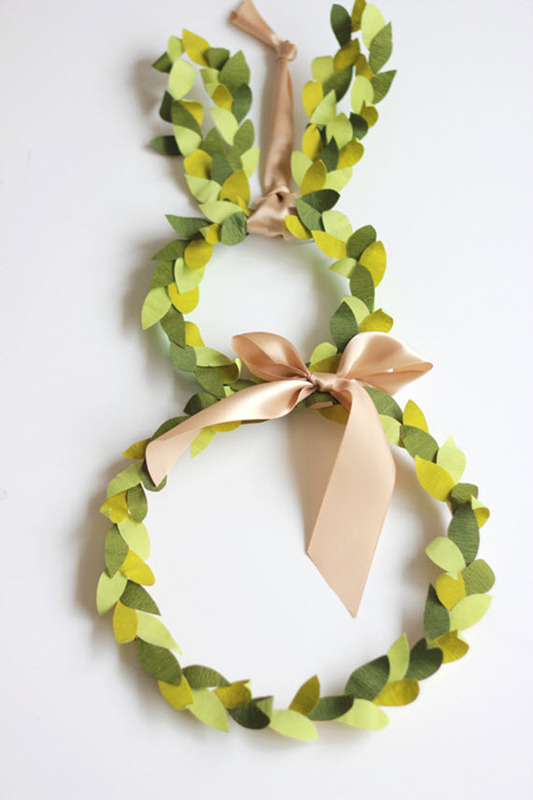 Welcome Easter guests with this sweet bunny topiary wreath for the front door. The House That Lars Built used crepe paper, but boxwood branches works too! 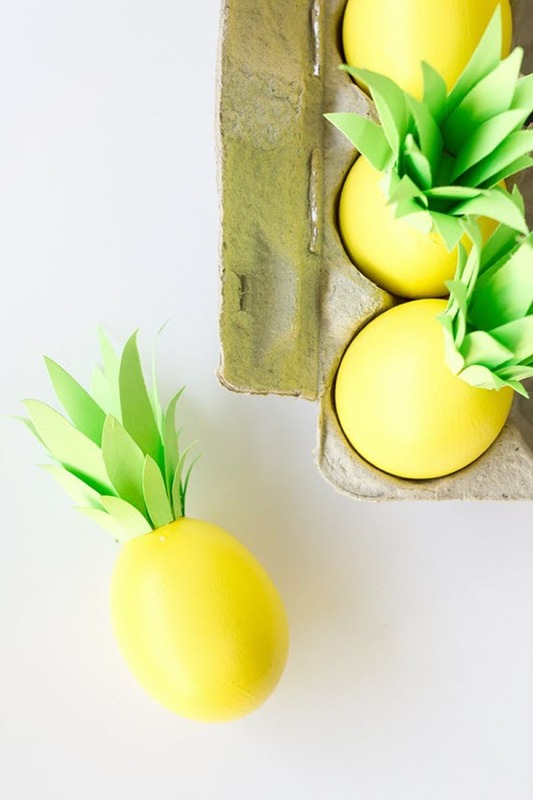 Pineapples are trending in home decor right now, so I was drawn to these fun Easter eggs. 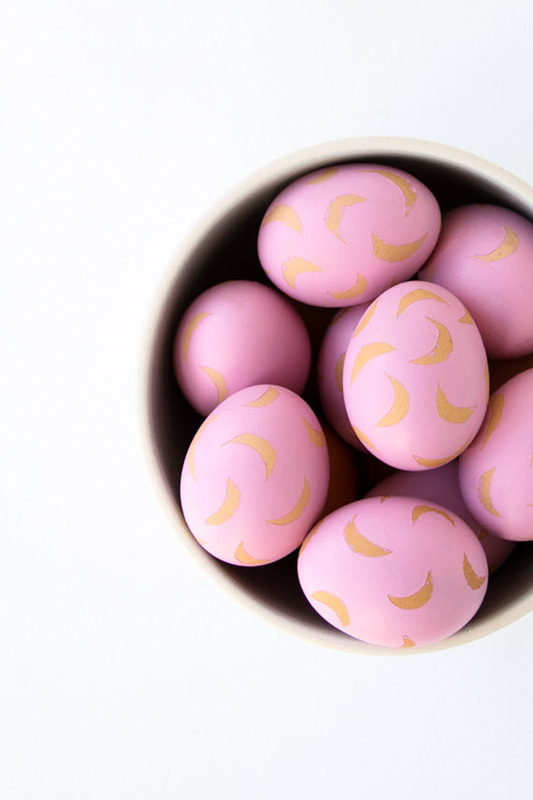 With a few eggs, green craft paper and bright yellow paint, Studio DIY crafted up these beauties in no time. 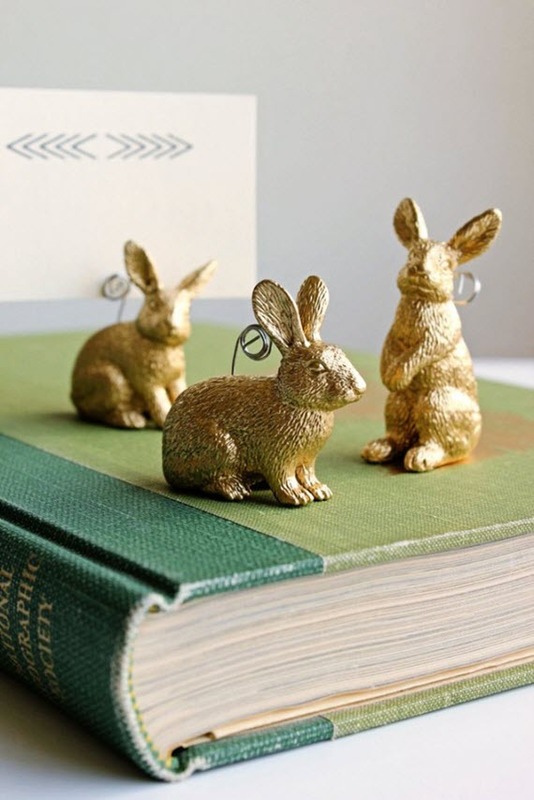 These gilded bunny placecard holders are a festive way to set the table for Easter brunch. The Sweetest Occasion simply took plastic bunny toys, wire and gold paint to create them. Love! 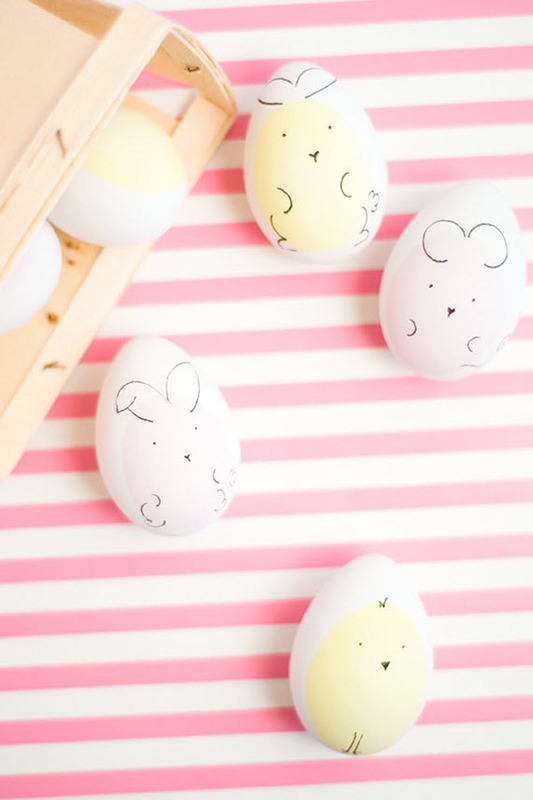 Find these and many more Easter ideas on my Easter and Spring Pinterest board! Have you seen it yet?! Joy Cho, the talented voice behind one of my favorite blogs, Oh Joy! has recently released the cutest entertaining collection at Target. 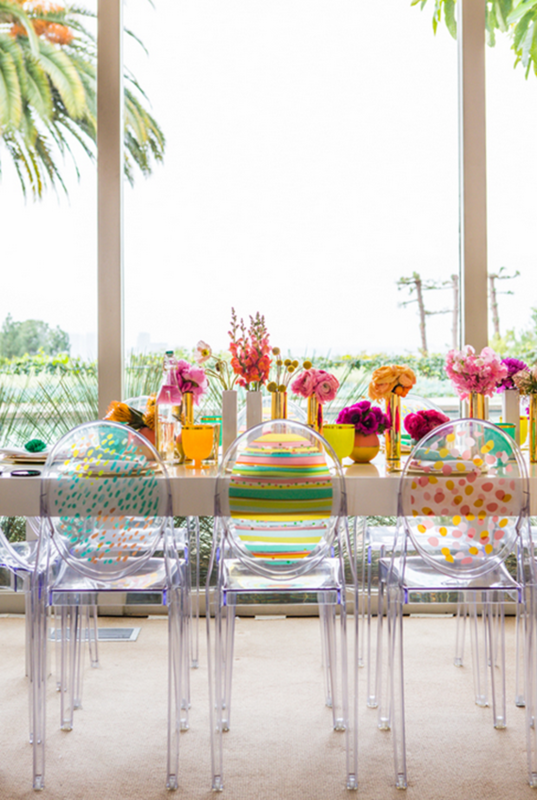 Fresh and playful, the party supplies are sure to add a fun pop of springtime color for that Easter, birthday or graduation party coming up! 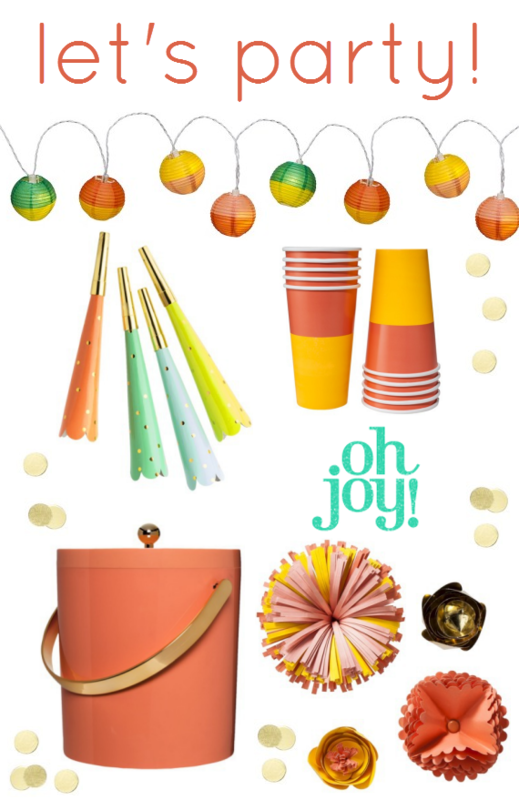 I love it all, but the coral ice bucket with gold handle is my fave. If you love too, don’t delay… the Oh Joy! collection is only available for a limited time!